HubSpot Research analyzed blogging data from more than 15,000 companies. Our analysis found that content marketing teams should focus their energy on creating blog posts that continually deliver increased traffic over time -- compounding blog posts. 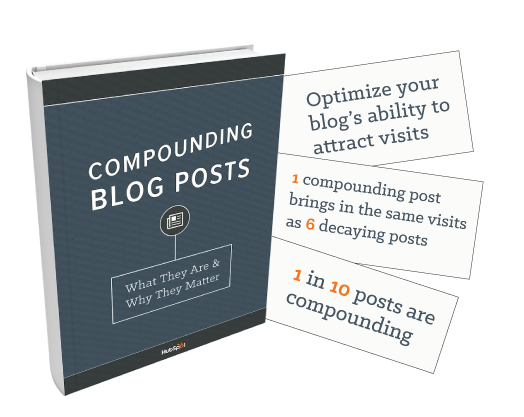 In Compounding Blog Posts: What They Are and Why They Matter, you’ll find deep analysis on compounding posts' impact on blog performance as well as advice on maximizing your business blog's potential to publish posts that attract increased traffic over time. How content marketers can maximize their chances of publishing a compounding post.